“Zombie enterprises” usually refers to those who fall into a financial crisis but rely on the support of the government or the bank to survive. In China, with the development of the economy in recent years, the credit bubble created by the economic bubble has provided an environment for the breeding of zombie enterprises. State-owned enterprises are unclear in responsibility and inefficient, and the government is worried about the resettlement of workers and staff, and blind support for them. What’s more, relevant departments supervision is not enough, the company should be delisted still active in the capital market. Different from the enterprises with the problem of troubled assets, “zombie enterprise” is characterized by the long-term and dependency of “blood-sucking”. At present, the state attaches great importance to building a favorable external environment for enterprise development and adopts measures such as decentralization and tax reduction, but the internal issues of concern are not high enough. In fact, the biggest problem of zombie enterprises lies in the misallocation of resources, in another word, the resources occupied by the zombie enterprises cannot produce corresponding benefits and do not have the ability to get rid of financial difficulties. Therefore, to remove the “zombie”, the most fundamental thing is to increase the endogenous power of enterprises. Due to incomplete information and path dependence, some enterprises cannot transition from the growth path of “tide investment” to the “quality innovation” development stage , which cannot meet the effective demand of the market, resulting in operating performance decline and even long-term losses, and may cause “zombie enterprises” phenomenon. The low product capability often reflects the lack of primary and endogenous technological innovation capability of enterprises. 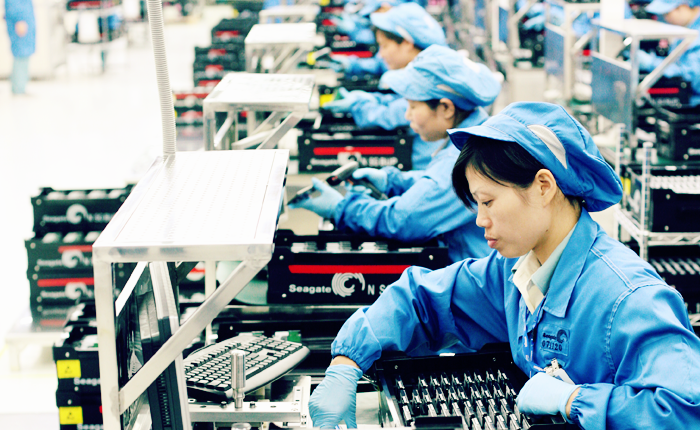 Since the reform and opening up, China’s economic growth pattern has shown. China’s economic growth mode has shown obvious speed growth driven by the scale factor. Since the reform and opening up, China’s economic growth mode has shown a significant factor in the growth factor-driven by the scale factor. The contribution of tangible capital and labor to economic growth is too high, while the contribution of human capital, technological progress and structural change to economic growth is low, and economic growth is at the expense of substantial material consumption and labor input . In recent years, overseas shopping has been hot. According to the data of the Ministry of Commerce, nowadays, Chinese tourists spend more than one trillion yuan abroad every year, and the outflow of consumption has become a phenomenon that cannot be ignored. This shows that domestic demand is huge, but the lack of technical innovation restricts the enterprise product renewal speed and product quality level, so that enterprises cannot meet the changing needs of the market and the formation of differences in the quality of the competitive advantage, which led to a decline in business performance, increase the possibility of zombie . Experts said the improvement in quality is an important step in actively adapting to the trend of consumption upgrades and accelerating the supply-side reform of the real economy. In the short-term, we can guide consumers to keep more consumer demand at home through tax reform and product promotion. In the long run, we will give full play to the decisive role of the market in resource allocation, improve the incentive mechanism such as intellectual property protection, promote the reform of vocational education and the cultivation of professional spirit through the way of reform, so as to build the foundation for the promotion of high-quality products and services. The report of the 18th Party Congress clearly pointed out that under the socialist market economy transition system, it is very important to implement the development strategy of innovation. Especially for enterprises, it is necessary to establish a technological innovation system. Technological innovation is closely related to the strategic layout and the long-term business interests of an enterprise, which can be investigated as the core competitiveness of an enterprise. Thus, it can be seen that technological innovation can drive the sustainable development of enterprises and help establish the core competitiveness of long- term development of enterprises, so as to reduce the possibility of enterprise zombified. On the contrary, the deficiency of technology innovation will restrict the speed of product updating and upgrading the level of product quality, so that enterprises cannot meet the changing needs of the market and hard to form a differentiated quality competitive advantage, which led to a decline in business performance, increase the possibility of zombies. This article is an excerpt taken from a research article titled - "Can “Zombie Enterprises” Find Self-Help Road through Technological Innovation?" by Jingru Liang School of Management, Jinan University, Guangzhou, China. Copyright © 2017 by author and Scientific Research Publishing Inc.This work is licensed under the Creative Commons Attribution International License (CC BY 4.0). Liang, J. R. (2017) Can “Zombie Enterprises” Find Self-Help Road through Technological Innovation?. Chinese Studies, 6, 173-180. doi: 10.4236/chnstd.2017.63017. Li Tang. 李唐. (2016). Demand Oriented Quality Innovation 围绕需求变化推进质量创新. Renmin Daily 人民日报. Chen Hong. 程虹. (2014). China’s Economic Growth: Transition from Velocity Era to Quality Era 我国经济增长从“速度时代”转向“质量时代”. Journal of Macro-Quality Research, 4, 1-12. Lin Yifu, Wu Hemao, & Xing Yiqing. 林毅夫, 巫和懋, 邢亦青. (2010). “Wave Phenomena” and Formation of Excess Capacity “潮涌现象”与产能过剩的形成机制. Economic Research Journal, 10, 4-19.